There is Supersets. There is Giantsets. And in between lies the Triset. A Triset are 3 sets of 3 exercises with 10-15 seconds in-between the 3 sets. 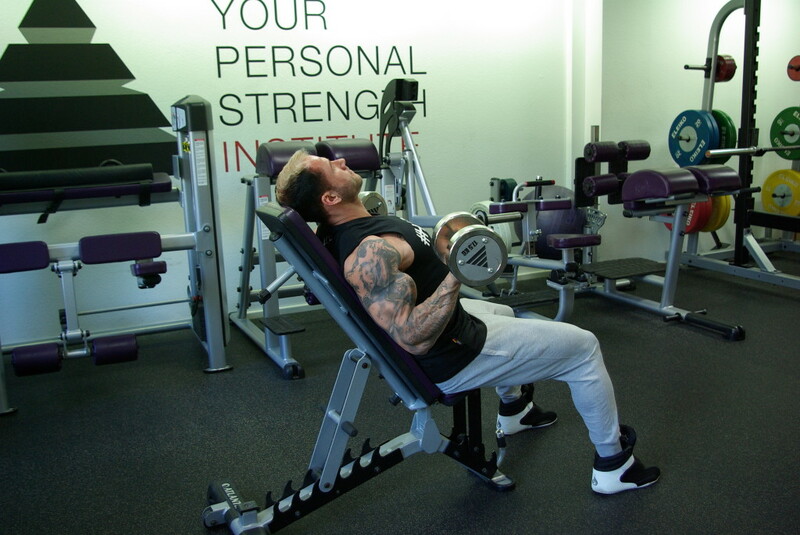 The goal of a Triset is to move greater volume for more muscular damage as a base of more hypertrophy and improved conditioning. The Devlis Triset is a variation of the Triset where you do 3 sets of 3 exercise with 6 repetitions each. So basically the reps go like 6-6-6. In modern pop culture 6-6-6 has become one of the most widely recognized symbols for the devil with bands like Iron Maiden and The Rolling Stones referencing the number in their songs. There are many theories behind why 6-6-6 is associated with the devil. From a strengthtraining perspective it adds a twist the Triset as this is usually done in a higher rep range. With the lower rep range of hitting three times 6 reps allows greater load and more consistent progress through greater intensity than a more traditional approach like 3 sets of 8-12 reps which would be a total of 24-36 reps per round compared to the 18 reps of The Devils Triset. Both workouts can be done twice a week each for a total of 6 workouts or as many workouts as you will make progress. Its a great system of combining hypertrophy training and the conditioning aspect of a higher training volume for the intermediate and advanced trainee. All the Best with The Devils Triset! Picture: WBFF Pro and YPSI Athlete Daniel Harder during 65° Incline DB Curls with a supinated grip. what´s the weekly split here per week? could you put the trisets next to the days of a week including the off days? thanks for sharing your wisdom! check your Module 3 notes, under „Splits“, only one of the ones listed there will fit, thats the one.